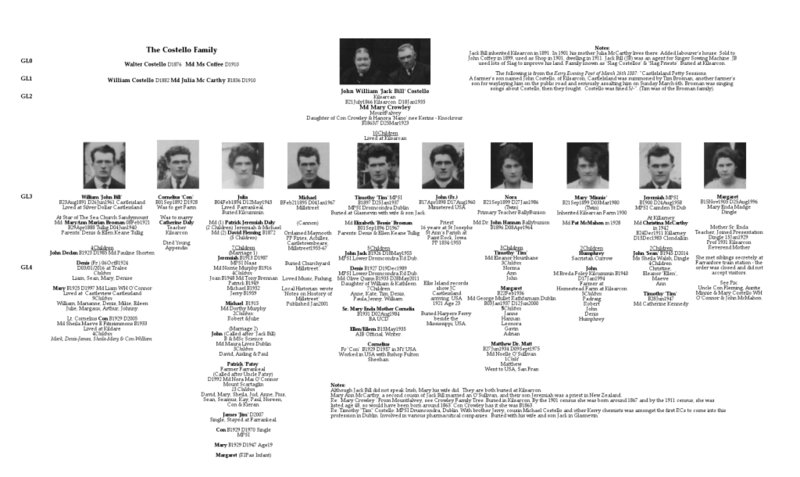 Family Tree: Family of GL2 Jack Bill Costello & Mary Crowley, Kilsarcon. Tim & Eleanor Hannan - Wedding Day at Leap Co. Cork. 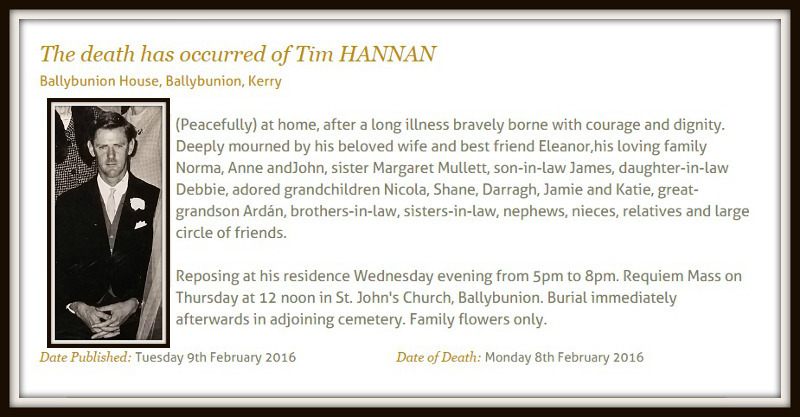 Tim and Eleanor were married at Skibbereen in 1966. 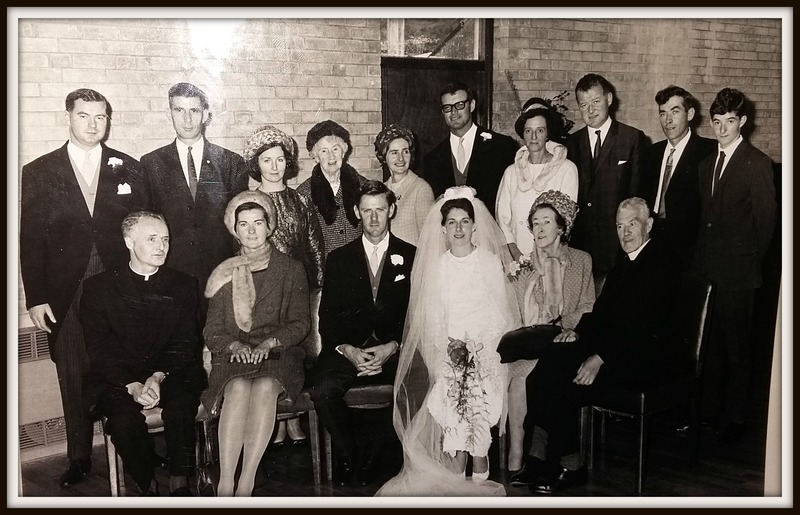 CLICK HERE to see the names of those in this wedding party picture. A Daring Sea Rescue in Ballybunion in 1978. This series of photographs was posted on Facebook by Mike Flahive. The photos were taken by Francis Bennett of Ballybunion. They show the rescue of two brothers who, foolishly, put out to sea in a canoe. The series of photos show their rescue in the early days of Ballybunion Sea and Cliff Rescue. The rescuers were Mike Flahive, Tim Hannan and Robert Stack in Lady of the Shore. The great series of pictures shows the canoeists being towed to the shore with the help of the lifeguard.